Owner run locations, personal service. Our core operations involve handling containers, break-bulk, vehicles and machinery. We operate throughout Sub Saharan Africa, we have warehouse space in Durban, Johannesburg and Walvis Bay and make use of partners in Zimbabwe, Zambia, Tanzania and Mozambique. We are very proud of our facility in Walvis Bay. 3000m2 of A grade warehousing space, 1000m2 yard, 5 Dock-levellers, 500m2 of offices, CCTV, 24 Hour Security, Armed Response. We are able to store high value commodities very securely. 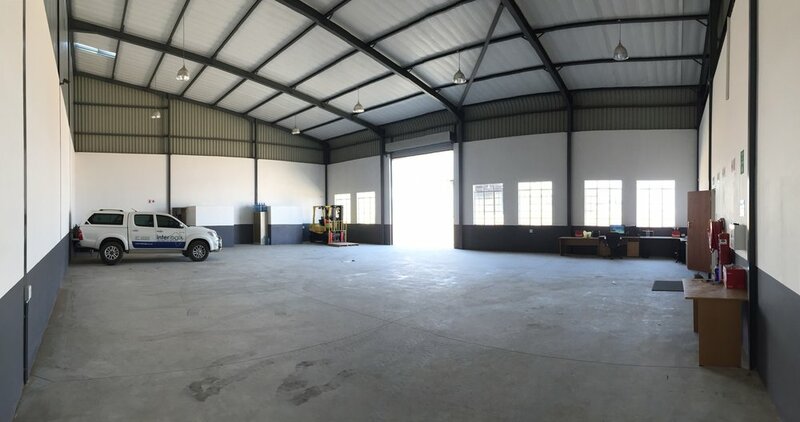 2500m2 total space, 1500 warehouse (300m2 SOS Bonded), 350m2 office space, 2 bay loading ramp and 5.5Ton forklift capacity. 350m2 of Warehouse Space, 3 Ton Forklift capacity, Consolidation cargo, planned and combined on site. Access to larger equipment on site, bonded facilities pending.